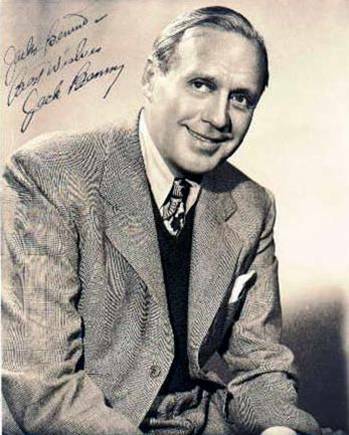 Jack Benny was America’s top radio star in 1938 and also a movie star. He was born Benjamin Kubelsky in Chicago in on St. Valentine's Day, Feb. 14, 1894 and was raised in Waukegan. The Jack Benny School in Waukegan is named in his honor. His parents bought him a half-size violin when he was six and he took lessons for many years both in Waukegan and in Chicago. But when he was a member of the band at Waukegan High School, he got a part-time job in the orchestra pit of a local vaudeville theater and show business became his life. He was married to Sadie Marx who took the stage name of Mary Livington. Sources differ on whether or not Sadie was a cousin of the Marx Brothers but their mother Minnie Marx was a good friend of Sadie's family.